To get started with Private Coaching click on the purple box below that best suits your needs! There are free and paid options available! Thank you for stoping by to see more of my content! Over the past 10 years, I have offered my advice and support to men, women and teens all across the world. I would love to learn your story and develop a personalized coaching plan to fit your needs. 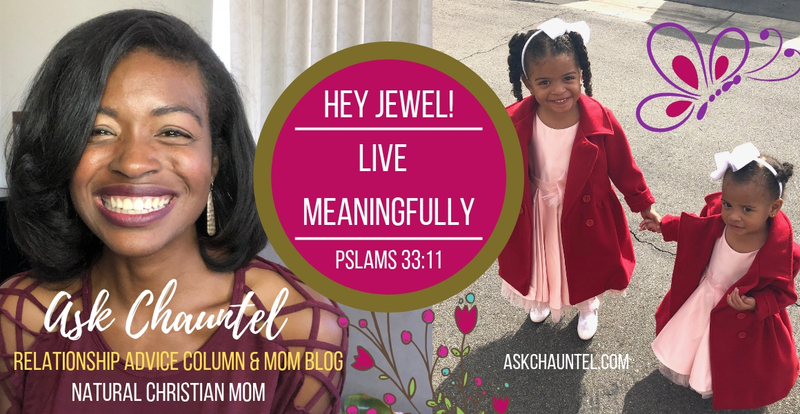 I have a traditional, Christian, no-nonsense, approach to coaching and giving advice on life, dating, marriage, relationships, career, and motherhood. God has blessed me to utilize numerous platforms to share my advice to help others have happier and more prosperous lives and relationships, for over 10 years. What makes me different then other life coaches out there is that I truly care about my clients, and with a kind heart I do my best to give them the truth in a loving, caring, but direct way. Life Coaching: Ready to work on getting yourself where you need to be? This is a great place to start to prepare for long lasting relationships in your future, professional, romantic or otherwise. Image Consulting: If your self image is causing you to have low self esteem. It may be the way that you dress or present yourself that is not attracting the right people into your life! Let me help out! Confidence is key in success in life and love! Dating Coaching: Stumped, are you having a hard time finding the love that you deserve in your life? Let me help you find out why and get your love life on track! You can find love too! Relationship Coaching: Note, is not limited to romance, it includes friendships and family. If you are seeking advice and direction within your romantic relationship this is the perfect option for you too! Marriage Coaching: If are newly married, need a little direction, or if your marriage is in an rut, then this is the best coaching option for you. We will discuss the challenges that you are having in your marriage and make a plan to get things back on track. Pre-Marital Coaching: If you are newly engaged and wish to make sure that you and your hubby/wife-to-be are ready to take this life changing step, then this is the right coaching option for you. Lets discuss your goals and ensure that you are on the same page going into holy matrimony. Career Coaching: If you are looking to go to the next level in your career and need help along the way, this is the right coaching option for you! I have held a number of positions with well known brands like Nordstrom, E-Entertainment, and NBC Universal. I can provide assistance with writing and editing your resume and cover-letter. Online Dating Profile Review: If you have been online dating for a while and haven’t seen the results that you are looking for, it just might be that your online dating profile does not represent you well enough to capture the attention of the love match that you are seeking. Are you creating a profile now and need assistance writing it? Let me take a look, and get you on track to finding love! Why Should You Sign-up for a Coaching Session with Chauntel? You’re looking for honest, unbiased, Christian-based advice. You’re ready to make an investment in yourself. You’re ready to commit your time to making a positive change in your life. You’re willing to be honest with yourself about where you are in your current situation. You are ok with the possibility of change and self discovery. You’re open to receiving feedback. You’re ready to learn to love you. You’re willing to be patient with yourself during the process. I provide a practical and non-sense approach to developing individuals personally, romantically, and professionally. If you are ready to make a positive change in your life, find the option that bets fits and sign-up below. Higher education has given me the expertise in communicating and understanding how the human mind works. It plays such a huge role in relationships, and this has given me a great foundation. However, I don’t pretend to know everything. I pride myself in being a life long learner. My parents raised me to build a solid relationship with God, and by their example I believe I have become a virtuous woman. My relationship with God has helped me understand how relationships work best. God is love, and I use the Bible as my blueprint on how to have happy and successful life and marriage. I have had great examples of marriage in my life. My grandparents have been married for over 60 years. My parents have been married for over 30 years. I have been married for almost 7 years. I am a small town girl with a big heart, and I know the value of loving God, and my family. I prayed for wisdom, and it comes from God. However, I know that I am imperfect, except through Christ Jesus. My passion is to help others to build a meaningful life! Let’s get started today! There are coaching options below if you are interested in signing up! My coaching plans fit any budget! I was in search of a Human Resources job and sent my resume to Chauntel. She really helped my resume look more professional and gave me great interviewing advice. Since having Chauntel update my resume I have been getting more interviews. My experience with Chauntel has been amazing! She is professional, caring and approachable. You may opt into a Paid Private Responses if your question is not selected for the show or the blog. $40 if you have signed up for Jewel News, and you are willing to anonymously share your story with other subscribers with a code-name. Join My Free Facebook Group for more advice and support!